Looking for some inpsiration. We have collection some of the most unique business cards on the web. 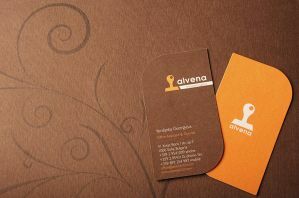 Let us know your favorite, or better yet, send us your unique and creative business card so that we can showcase it. Prisma Graphic Customers tell thier story. Prisma Graphic Customers- Around here, every problem has a solution. Honeywell International is a diversified technology and manufacturing leader, serving customers worldwide with aerospace products and services; control technologies for buildings, homes and industry; automotive products; turbochargers; and specialty materials. With locations across the globe, Honeywell employs more than 120,000 people in 100 countries. Leadership, knowledge and value programs for their employees and their communities have helped Honeywell grow into one the world’s leading companies. In the past 30 years, University of Phoenix has helped transform the landscape of higher education by making it easily accessible for working students nationwide. As the largest private university in North America, they have over 200 convenient locations. They have 100 degree programs at the associate’s, bachelor’s, master’s and doctoral levels in much-desired employment areas, from business and technology to health care and education. Avnet is one of the world’s largest industrial distributors of electronic parts, embedded subsystems and enterprise computing and storage products. Composed global logistics operations, corporate services and back-office support, each group operate globally with locations in the Americas, Europe, the Middle East, Africa (EMEA) and Asia. Their corporate social responsibility strives to make a difference in their employees, community, industry and the environment.